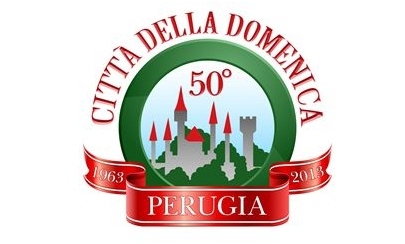 Città della Domenica (“City of Sunday” in English) is the first amusement park in Italy. It was designed and achieved at the end of the mid-century by Mario Spagnoli, a smart businessman native of Perugia, son of Luisa Spagnoli (the woman who invented the “Baci Perugina” and created the fashion house of the same brandname). Inaugurated in 1963, it celebrates its 50th birthday. It spreads over a surface of 100 acres, along the hill that overlooks Perugia and offers to visitors a spectacular view on one of the most beautiful view of Umbria. Beyond its attractions and animations, Città della Domenica offers a rare bond between the love for environment and contact with animals; visiting it it’s a unique occasion to spend a cheerful day, surrounded by the nature, stimulating the fantasy and immerse oneself into the culture. It’s the ideal park for children, all-aged people and families. It is possible to visit it by walk or on its historic Train which makes the whole tour of the Park and stops along the most popular attractions: the Farm of the Old Trades, the Pinocchio’s Village, the Far West and the Raptors’ s Canyon. At the Farm, all children could participate to the Milky, after helping our farmer to feed the animals. Into the Far West you could attend the shoot-out between the infamous criminal Jesse James and the sheriff Ace Cooper, who will ask the cooperation of children to capture the dangerous bandit. In Città della Domenica deers, mouflons and squirrels completely live free along the park. Entering the forest you will find a lot of winged animals which will cheer up your excursion with their cheeps. Into the wildlife area there are fences with many animals: kangaroos, American buffalos, Yaks, reindeers, ostriches, antelopes, besides the nice Marà, the hares from Patagonia. Along the itinerary, you’ll find many typical animals of the Italian tradition and other farm animals that allow children to caress them. Then there is the Mascot of the park! The adorable white Donkey, a species saved to extinction thanks to Città della Domenica. Along the way, the younger children will be able to relive the most beautiful fairy tales of our childhood: beyond the Pinocchio’s Village you will find the house of Little Red Riding Hood, the Sleeping Beauty’s Castle and the Snow White’s house. Then guaranteed amusement with the Baby Cars, the Mini Motorboats, the Crazy Bridge, the Fort Apache, the Labyrinth…and if you have still breath you can enter the mythical Trojan Horse or climb on the top of the Shuttle to enjoy a breathtaking overview on the beauties of Umbria. At the entry, in the Arcade Game, the new 6D Cinema was just installed thanks to which you can immerse yourself in a fantastic adventure. Just out of the Park you will find the Darwin’s Tower with an interesting didactic itinerary on the evolution inside our historic Reptiles Tower, one of the most well-provided in Europe. Inside it many habitats for alligators, caimans and giant snakes have been recreated. To know the schedule with the opening days and our prices please visit the official web site of the Park.